Directions: From Highway I-40 at Thoreau, NM, drive north approximately 75 miles on Highway 371 to the Bisti Badlands Parking Access. A two mile hike due east will bring you to the Eagle's Nest Rock Formation. A map of the Badlands is posted at the parking access point. 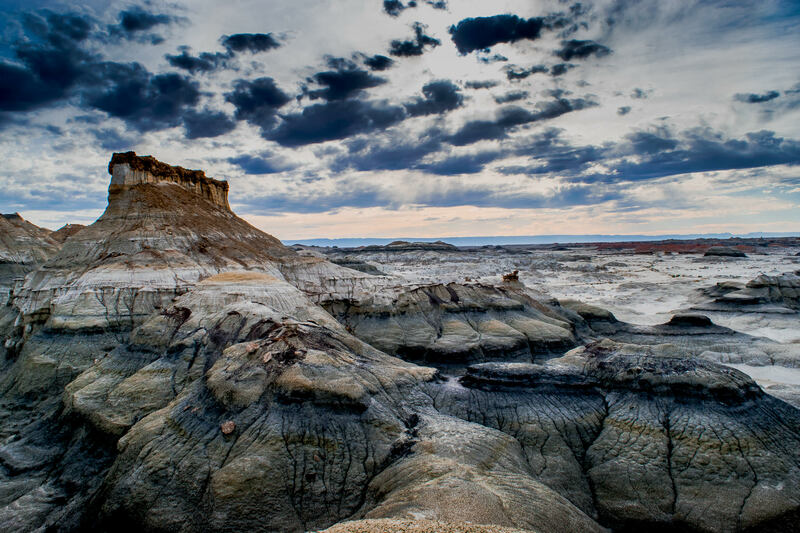 The Bisti Badlands is a stark location south and east of Farmington, NM and north and west of Albuquerque, NM. Best time of the day is late afternoon and early evening as the sun and shadows provide great opportunities for contrast in a desolate landscape. There is much to see in the Bisti, several natural arches, hoodoo formations (weathered rock in the form of pinnacles, spires, cap rocks, and other unusual forms. ), petrified wood, and rock formations shaped like eggs. The amazing rock formations can change dramatically depending on the rising or setting of the sun, cloud cover, and time of year. 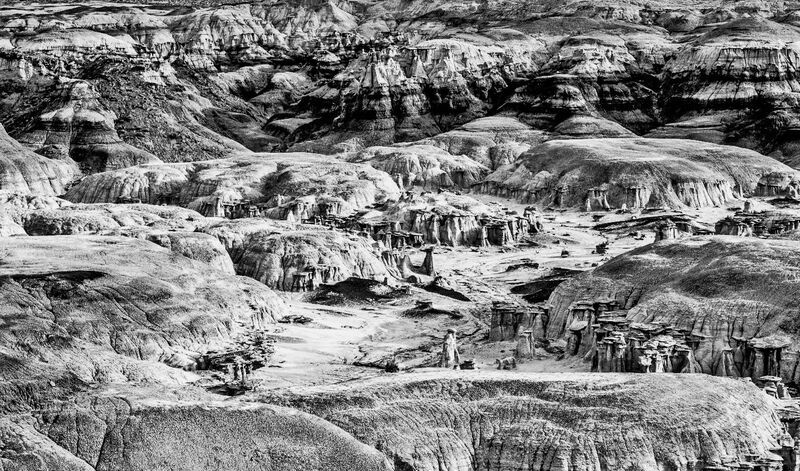 The unique landscape and structures formed as part of erosion makes for limitless opportunities for great pics. The Bisti is subject to severe temperature extremes – very hot in summer and cold in the evenings and winter due to elevation. Take lots of water, cell connection spotty at best (climb high to get any…). Pack in a tripod for optimal photos. Been there several times, always something new to see.